This large and powerful breed is generally good with children. The Dogo Argentino is also known as the Argentine Dogo or the Argentinian Mastiff. These dogs have a strong, powerful head and neck. The nose and lips are black, and the eyes are almond-shaped, set widely apart, and are dark or hazel in coloring. The ears are broad, flat and rounded at the tip — they hang down over the cheeks. But the ears are often cropped, which alters their shape to triangular and forces the ears upright. The tail is set medium-high and is thick and long. When at rest, the tail hangs down, but when in motion it is raised and constantly moving back and forth. The coat is short and smooth. The density depends on the climate. In warmer locations, the coat may be thin enough for the skin to be visible, but in colder areas the coat may become thick enough to develop an undercoat. Coat color is white with the occasional black patch around either eye. The Dogo Argentino was developed by Argentinian brothers Antonio Nores Martinez and Agustin Martinez. They wanted to create a dog who could hunt big game in the challenging Argentinian countryside. The Dogo Argentino was ultimately achieved by breeding dogs such as the Cordoba (now extinct), the Bull Mastiff, the Great Dane, the Pointer and the Great Pyrenees, among others. When Antonio was killed on a hunt in 1956, Agustin carried on the breeding program. Agustin’s role as ambassador to Canada allowed him to spread the breed throughout various parts of the world. Already used to hunt boar and puma in Argentina, the Dogo Argentino built a strong reputation as a skilled hunting dog. Not just a hunter, the Dogo Argentino has historically proven to be capable of filling many roles. In Argentina, these dogs have been used for military and police work as well as guide dogs for the blind. In Canada, the breed has participated in moose hunting, tracking, and search and rescue. The Argentina Kennel Club recognized the Dogo Argentino in 1973. In 1985 the Dogo Argentino Club of America was founded, and in 1995 the breed was added to the AKC’s Foundation Stock Service. These dogs are willing protectors of their family, and they are intelligent and affectionate. They are usually good with children. This breed may become stubborn and suspicious of strangers without proper socialization from an early age, and temperament can vary widely from dog to dog. 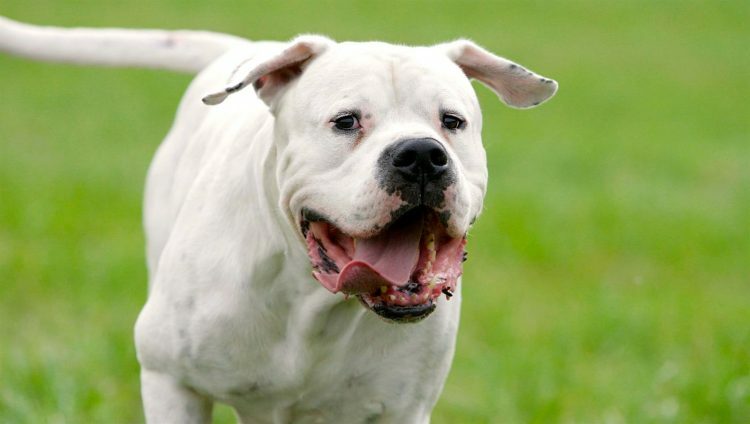 HIGH: The Dogo Argentino should get plenty of exercise with long daily walks or jogs. They are large, active dogs — without proper exercise, your Dogo Argentino could become bored and destructive. LOW: These dogs need only regular brushing to remove loose hairs. They do shed a bit more in warmer seasons. Because of the thin coat, bring your Dogo Argentino inside in colder weather, even if the coat has thickened somewhat. 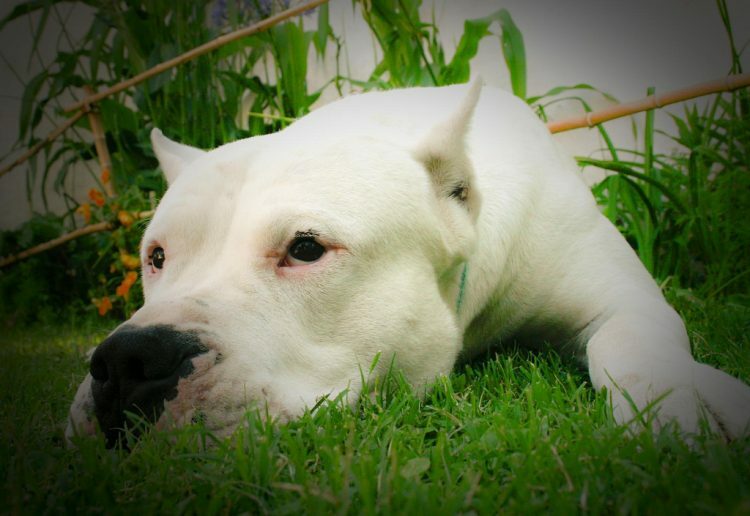 LOW: The Dogo Argentino has a major, recurring health issue: deafness. According to the Dogo Argentino Club of America, 10% of puppies are born deaf. There are many Dogo Argentino dogs in shelters or rescues across the country who need good homes. So check with your local shelter or rescue to see if yours is waiting for you there. If you’re contacting a breeder, please do lots of research and make sure you’re not doing business with a puppy mill.